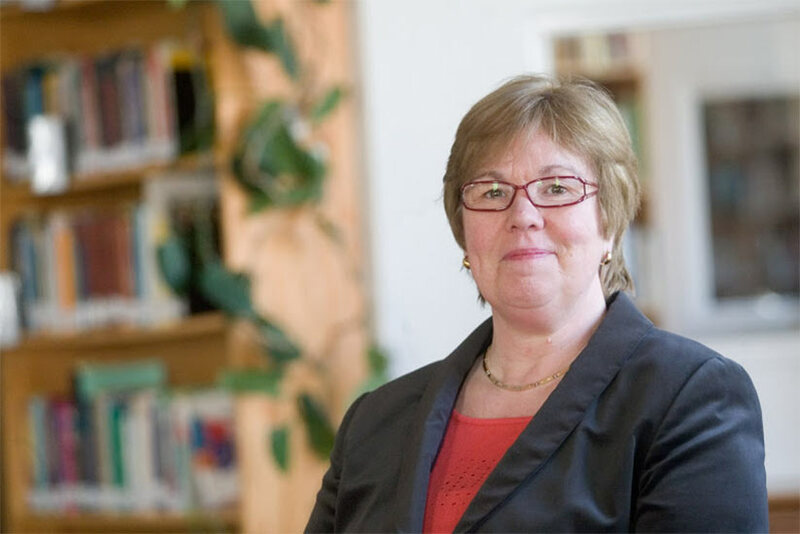 Since September 2015 Dr. Anne-Marie Kool is working as Professor of Missiology at the Evangelical Theological Seminary (ETS) in Osijek, Croatia, a theological school established in 1972, with a longstanding legacy in the Central and Eastern European region. Her work of teaching, supervising, mentoring, publishing and networking is closely linked to the Osijek Institute for Mission Studies (OSIMS), established by ETS in 2015. Under responsibility of ETS, her task is to strengthen missiological education and research in Central and Eastern Europe, in cooperation with other regional networks like the Central and Eastern European Association for Mission Studies (CEEAMS) and theological schools like the Baptist Theological Academy in Budapest. OSIMS and its consortium partners form an international learning community, which seeks to facilitate academic reflection on the missionary practice of Church and mission, and of mission related issues in the societies of post-communist Europe by way of thorough studying the biblical foundations and a critical analysis of the history of the mission of the Church, and of the contemporary context. The final aim is to support, strengthen, and equip the local Church to grow into open, welcoming, witnessing communities of Jesus Christ in today’s world. She has an extensive experience in awide range of topics in missiology as well as in teaching at a variety of levels and brings expertiseon subjects like missional leadership of the church in changing contexts, evangelism, urban mission, cross cultural communication, World Christianity and missiologicalchallenges in post-communist Europe. In addition,Anne-Marie has supervised missiological internships and fieldwork and have organized a number of extracurricular activities for students, e.g. exposure trips for students to Serbia, Ukraine, Roma-ministries in Hungary and urban ministries in Amsterdam (NL). Anne-Marie has beenparticipating in activities and boards of several international organizations, e.g. the World Evangelical Alliance, the Lausanne Movement for World Evangelisation, the World Council of Churches (WCC), Bakke Graduate University, and the International Association for Mission Studies. She helped to establish the Central and Eastern European Association for Mission Studies (CEEAMS) in 2002. Pioneering an Institute for Mission Studies in Budapest, she had to learn to reflect on the challenges of mission and evangelism in western culture, but also on the tough realities of the “shadows of the past” of a communist ideology. In her PhD, she researched an unknown chapter in mission history, the Hungarian protestant foreign mission movement, while for her Habilitation, Anne-Marie explored a new paradigm for mission in Central and Eastern Europe taking the starting point in the biblical concepts of individual and community. More recently, she has begun researching an issue that has long been a field of interest: mission and evangelism among the Roma (Gypsy) community and the relationship with the European and Central European churches. She was able to initiate a Roma – church research network. Anne-Marie enjoys gardening, biking, and exploring the Central and Eastern European region, the nice little towns, with a special interest in the coffee house culture. a passive knowledge of Greek, Latin, Hebrew, Aramaic and Akkadian.